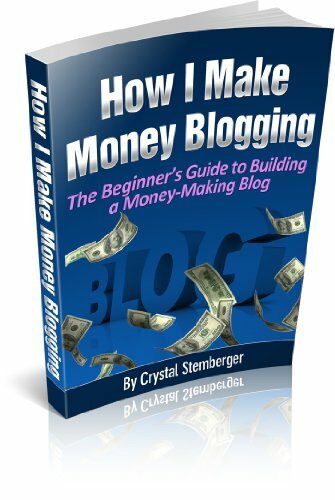 Last month, Crystal released her new eBook – How I Make Money Blogging: The Beginners Guide to Building a Money-Making Blog Full Disclosure: We earn a commission if you click this link and make a purchase, at no additional cost to you. . There is certainly an abundance of bloggers with their eBooks, but this one stands out amongst the crowd. Crystal has earned an income that most bloggers can only dream of, and she’s got the track record to prove it. Crystal found early on in her blogging days that advertising and negotiating ads for other bloggers was her road to wealth. She honed her strategy and then built up her advertising and blogging network. Eventually, Crystal was able to earn an income beyond her full-time job. Now she’s sharing with fellow bloggers in her new eBook how she did it! But the eBook is much more than that. It’s a complete introduction on how to set up your WordPress blog and how to make an online income. This 32 page eBook is packed with detailed info! The Beginners Guide to Building a Money-Making Blog Full Disclosure: We earn a commission if you click this link and make a purchase, at no additional cost to you. is an ultimate resource guide for the new blogger. The first 18 pages are devoted to how to set up your WordPress blog, pages and features you need to include plugins you should use, and all about rankings and SEO. Crystal also covers the importance of how to build your blog and develop a network and community. The second half of this eBook is focussed on how to make money with your blog through paid advertising. Crystal literally gives you her formula to making a substantial online income. Even if you don’t want to run ads on your blog, the rest of the info in this eBook is worth gold! In this eBook, The Beginners Guide to Building a Money-Making Blog Full Disclosure: We earn a commission if you click this link and make a purchase, at no additional cost to you. Crystal shows you how to set up your blog for advertising. Crystal shows you how to respond to ad requests, how to negotiate your rates, and how to manage your advertising campaigns. If you want to learn how to monetize your site, and effectively manage private advertising on your blog then this is the eBook you need. Monetizing your blog through direct advertising can be very lucrative, but you should also be aware of the risks involved. Just like investing, if you take on a higher return for the investments you also take on a higher risk. Google penalizes sites for paid backlinks with a PR0, and they even hand-check sites. The Penguin Update and Panda 3 Updates this year, was a reminder to bloggers of exactly what can happen. For this reason (in my opinion) monetizing your blog with paid-links is best left for a secondary blog, and not your primary blog. It’s just safer that way… Having said that, there is a lot of money to be made here, and Crystals’ book can really unlock the keys on how to monetize your site. What I appreciated in this eBook was that Crystal discussed the events around these updates, and how it impacted her clients and business. The bottom line is – this is a great eBook! Whether or not you want to run advertising on your site, there is a wealth of valuable information here. Hey Lance, thanx for dropping by and letting us know – it’s good to hear another blogger that enjoyed the eBook. I’m going to go check out your review now. I’ve liked you on FB and following on Twitter! I’ve been blogging for a bit now and would really like to see how I could make more money on it. This would be great! Well I was already following you on twitter and was subscribed to your RSS feed. So I guess I already qualify. I’ve got a tweet scheduled for tomorrow morning to help you get a bit more exposure. Always appreciate the support man! All the best 😉 Enjoy our fine Vancouver weather! I get your email newsletter and like you on facebook. I don’t twitter, because I thought you needed internet access on your cellphone for that. Sounds like an awesome book! Hope I win! I “liked” your Facebook page and receive your emails. I’ll buy the book if I don’t win. Just subscribed to your newsletter. I’m not a blogger but always open to new ideas on how to reach my financial goals! I like you on Facebook just today! Always enjoy your blog Ninja, now I’m “liking” you too. On the 20th, I’ll send everyone who commented here an email. I’ll be sending you a $10 discount code so if you don’t win you can buy the eBook for $17 instead of $27 !! If you want to go ahead and buy the eBook before the draw, then just reply here, or contact me via my contact form – and I’ll email you the discount code. This discount will be valid until the end of August. Of course I follow the Ninja! Great giveaway and congrats Crystal! Already “like” you and follow you on the Twitter! Follow on twitter & tweeted =) I really want to read this book! I outsource some of my advertising to Crystal and she’s been really awesome! I follow a lot of blogs, but I like THE NINJA the best. 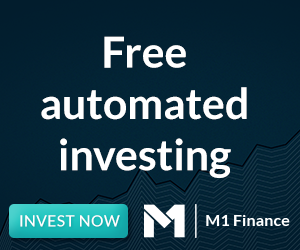 It’s a great combination of my two interests: dividend investing and blogging. Thanks NINJA! Please enter me into the draw. I have blogged for years but never looked into monetizing the blogs. Thanks. Follow on twitter (@veveblond03) & tweeted. I also liked your facebook: Victoria Po and subscribed to you. I’m your new fan 😀 I hope I win. Just tweeted this. my id is messforless. Holly, my pleasure. 🙂 Good luck! I like Dividend Ninja Facebook, this would be awesome to win! Thanks for the chance! I’m also going to be offering a special $10 discount code for those who don’t win – so if you really want the eBook you can at least get a deal on it! I am a follower on twitter!! I want to win, I started a blog a while ago but never thought about going further with it. Thanks for the chance! Like you on Facebook – thanks for the great giveaway! I just recently started a blog and wow, I’m having a real hard time finding sponsors!! I invest tons of time trying but I’m so new, I get overlooked!!! 🙁 This book could help me. Carole, you bet! This book would really help U out. 😉 So what’s the link to ur site? I like the Dividend Ninja on Facebook! Great giveaway! I am a follower on twitter. Following as @live2binspired. Thanks! I would love to win this book! This sounds like a great way for this disabled. stay-at-home-mom to make some extra cash!! Thanks for the offer!! That’s inspiring! 🙂 Good luck Rhonda! subscribed. Thanks for the opportunity. I follow you on twitter @CarrieAn13 Thanks! Just came across your blog and started following on Twitter…good read so far – keep it up. I like you on fb! Thanks for the giveaway! I have been wanting to start a blog for a while now but had no idea where to start.. I think this book is what I have been waiting for!